Leading nationwide roofing distributor joins the NIRC. The National Insurance Restoration Council (NIRC) welcomes SRS Distribution Inc. (SRS) as a Platinum Preferred Advisory Member. SRS Distribution consists of a network of industry-leading, independent roofing distributors. The NIRC provides property owners with a vetted network of vetted professionals that follow strict ethical guidelines. The NIRC sets the bar for exceeding standards in the industry. “We’re proud to join the NIRC and be part of a leading organization that vets contractors from all over the industry that have integrity and a high standard of ethics. We are aligned with the same principles established by the NIRC,” says Rhett Bowen, National Storm Sales, SRS Distribution Inc.
SRS Distribution consists of a family of industry-leading, independent roofing distributors with a common goal and purpose to provide excellent customer focus to roofing contractors throughout the nation. “The NIRC is proud to welcome SRS Distribution as Platinum Preferred Advisory Member and we recognize and praise their nationwide efforts to create a better industry for roofing contractors. The SRS network of roofing distributors is held to the same high principles and guidelines upheld by the NIRC,” says Joe Radcliff, CEO and founder of the National Insurance Restoration Council. NIRC Advisory Members pave the way to lead fair and accurate practices, advocacy and ethics in the insurance restoration industry. The NIRC Advisory Membership is comprised of industry professionals including top-level executives from various sectors including manufacturing, supply, service providers, technology, law, public adjusting. The NIRC is an independent non-profit that aids both property owners and insurance restoration companies in the event of storm damage. The NIRC is an advocate for improved case law and legislation to protect both consumers and contractors when dealing with insurance claims. The NIRC also works with third party organization, Global Risk Management Solutions, to verify that compliance, standards, and ongoing screening maintain high industry standards. Headquartered in Orlando, Florida, the National Insurance Restoration Council (NIRC) is a non-profit organization devoted to protecting and educating property owners and restoration contractors when dealing with insurance claims. The NIRC acts as the principal advocate for improved legislation and case law to protect consumers and contractors when dealing with insurance claims throughout the nation. The NIRC serves the common interest of insurance restoration contractors and protects consumers from unethical contractors. Vetted and certified NIRC certified contractors adhere to a strict code of professional conduct, educate property owners about the insurance restoration process, and give back to communities in storm damaged areas. NIRC certified contractors go through an extensive background check to become members of the Diamond Standard code of business. The NIRC as a self-regulated entity and cooperates with the Department of Insurance (DOI) and other regulatory authorities throughout the United States to improve the ethics of the industry through education and high standards. Learn more at http://www.NIRC4Change.org. 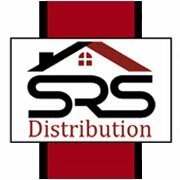 SRS Distribution Inc. is a network of roofing distributors with a common goal to focus all of our efforts on serving the professional roofing contractor. SRS includes companies in over 150 locations in 39 states. SRS is a private company sponsored by Berkshire Partners and led by a management team of industry veterans who understand the needs of the professional contractor. SRS has a very narrow product focus with roofing making up almost 95% of sales. This focus allows SRS to enjoy a broader and deeper inventory of roofing products at each location. To learn more visit http://www.srsicorp.com.